It's been awhile since I've shared any pics from swaps. going through some changes that have affected my crafting. I'll share that with you one of these days. and it has been one of my favorites. to create a doll for our swap partners. These are the beautiful dolls I received. This stunning beauty was created by Terri. 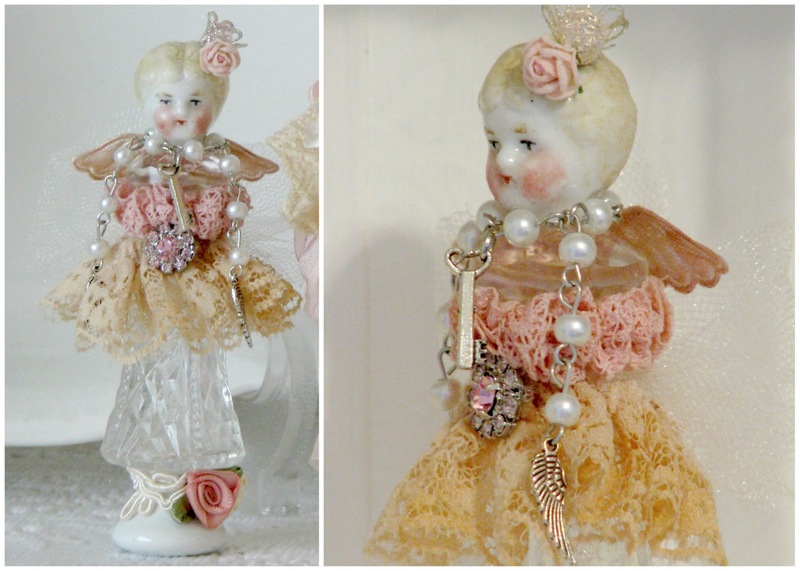 And this darling little angel was created by Melanie. Terri and Melanie, I love these beautiful dolls! Thank you so much for creating such treasures for me. 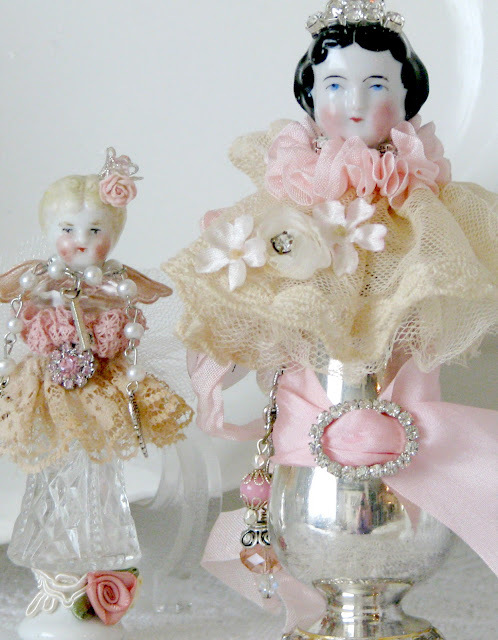 These are the dolls I created for Terri (left) and Melanie (right). If you have never made a shaker doll, you really should try it. And, in an attempt to catch up a bit, here are some fun things that have happened. 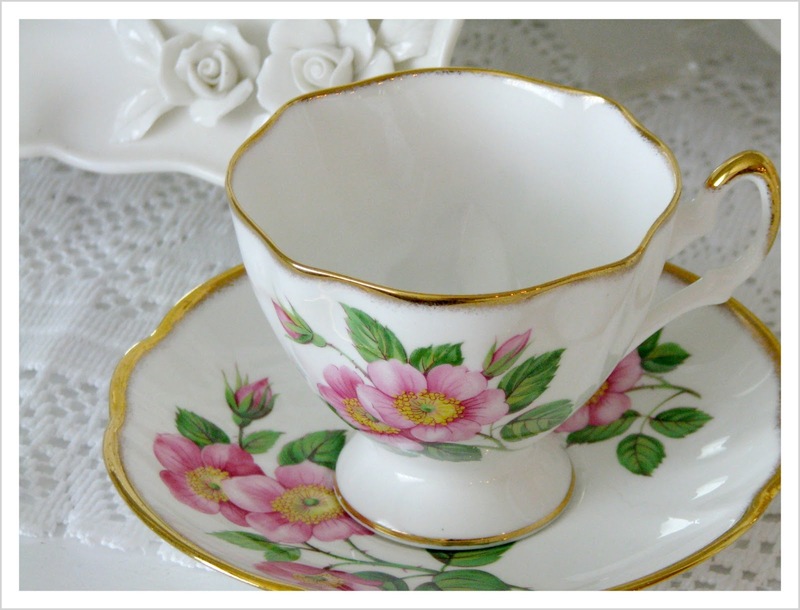 Way back in May, I won this beautiful tea cup from this Terri. of which I have already enjoyed. Thank you Terri, I will treasure your beautiful cup. 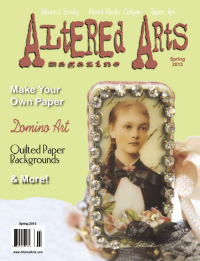 My work was featured in the Spring issue of Altered Arts magazine. with so many extremely talented artists. I hope you are having a beautiful June so far! First of all.....congratulations on being published! I will have to look for that magazine!! Secondly...every doll in this post is adorable in it's own way....I've never heard, or thought of, doing that. Beautiful! ...and I love your new tea cup, it's stunning! Thanks so much for visiting with me. Hope your day is bright. Thank you for sharing your lovely photos. 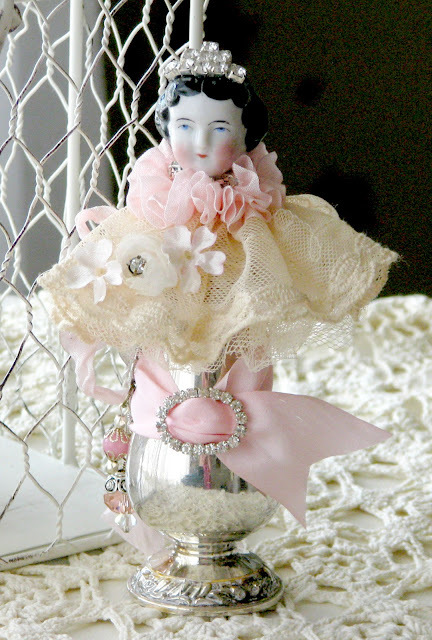 The dolls are beautifully designed and lovely details. Congratulations on being published, I love mixed media and will have to locate this magazine. 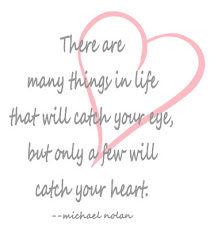 Enjoy your treasures and have a wonderful week. 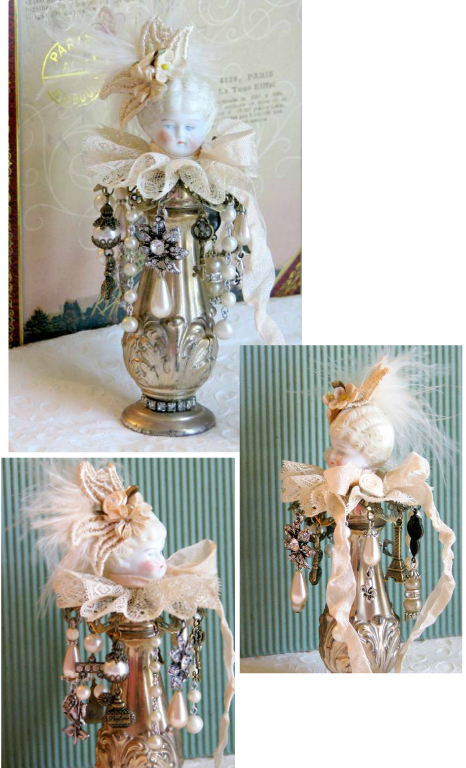 Beautiful shakers, Debi! I love how they all look unique but would look wonderful displayed all together. Congratulations on being published! They are all so beautiful Debi, I don't have a fav. Debi, Congratulations on getting published! I'm happy you are posting and sharing a bit again; so sorry to hear you are not feeling well. 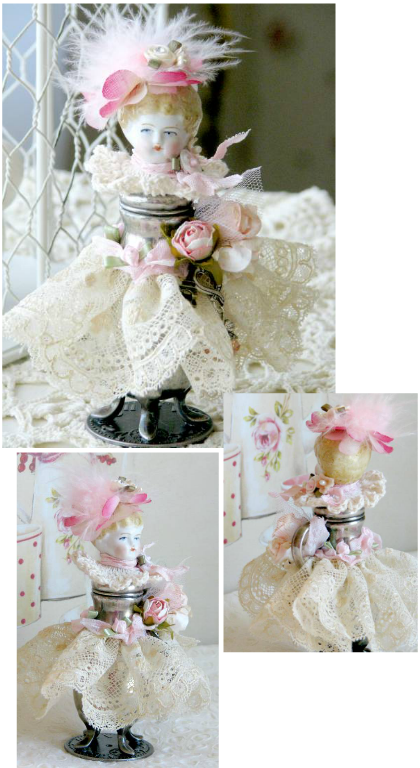 It certainly hasn't affected your creativity and style - your shaker dolls are amazing! I miss MAMA and all their beautiful work. xox M.
I hope you will be feeling better soon and back to creating the things you love! 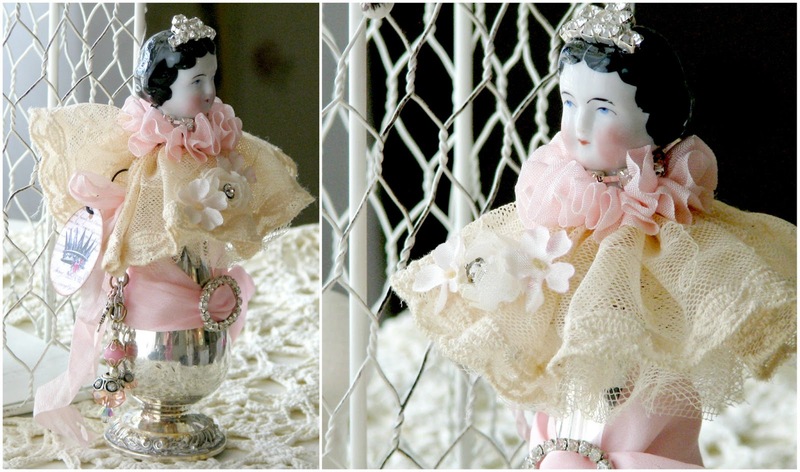 I just LOVE those German Doll heads & adore the way you guys did your swaps. Congrats on being published! Well done, Debi--no surprise here! I'll have to go look for that one! 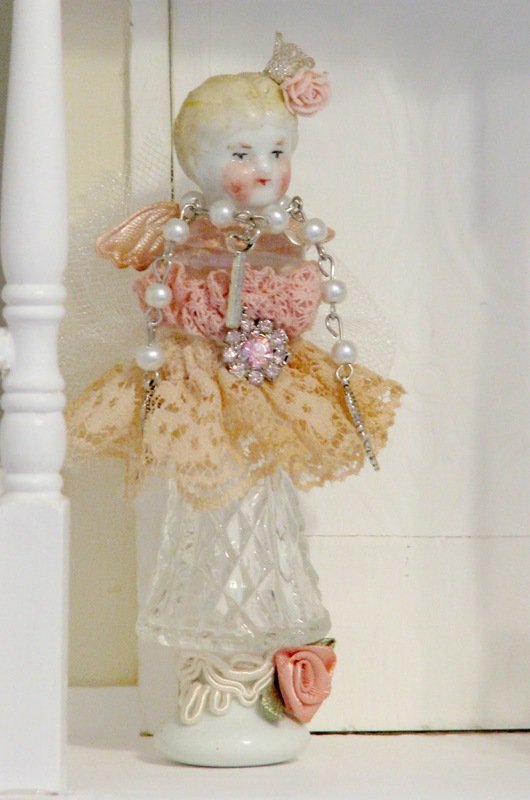 LOVE those dollies--some of my favorite things! I've never seen salt shaker doll before. They are amazing. I'm totally inspired by you three girls. Congrats Debi... love those shakers!!! 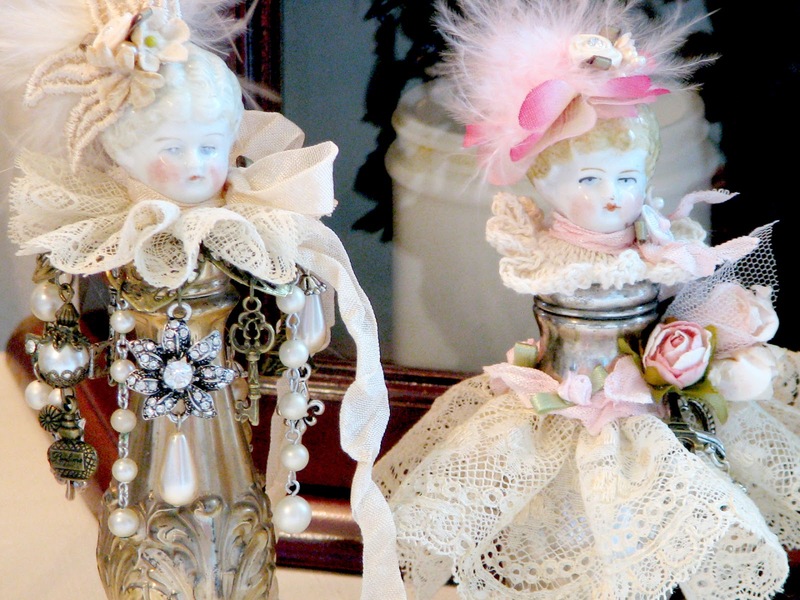 Such beautiful dolls! What a clever idea to put the heads on shakers. hey YOU! congratulations on the publication!!! that is so exciting!!! your work is always so beautiful! i hope all is well, you! Your shaker dolls are incredible! Oh my! I am so glad you shared them. I really have not seen them before. I love all the ones you have shown. You girls must have had tremendous fun creating them. 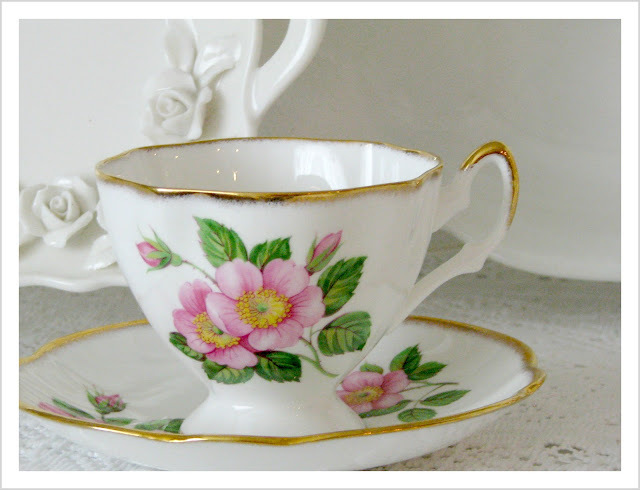 I am so glad you have enjoyed the tea cup and tea. Yay! Congratulations on your gorgeous display in the Altered Arts mag! Congratulations of being published! I love each and every one of the shaker dolls...What a fun swap! Each one is so beautiful, and has her own personality, I love each and every one. Thanks so much for sharing them. Wow, these are so beautiful! Love them, thanks for sharing. Oh CONGRATULATIONS Debi!!! That is such a beautiful publication! You are such an artist my friend and these beautiful dolls are just more of the magic you create. I love the dolls you got from your partners too, so lovely. I hope that the changes you are talking about are not sad ones Debi. Whatever they are...I am thinking of you. Would love to make a shaker doll. Can you refer me to some directions? They are lovely.